If you need to merge two existing accounts in My eQuals (e.g. 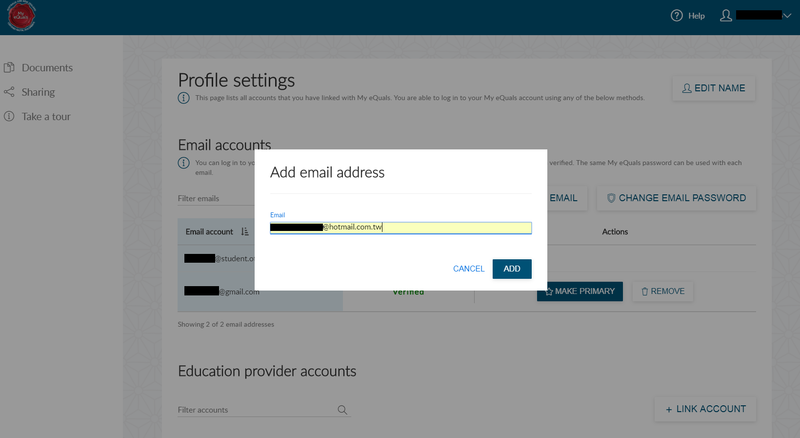 your personal email account and your student email account), click the Link another email button under the Profile settings from either account and add the other account's email address. Once you click the Add button, you will be taken to the My eQuals login page. 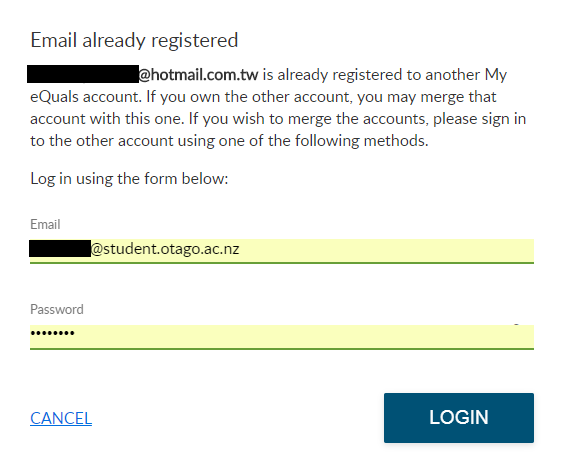 Log in using the email of the account you want to keep as the main account. You will see a message saying that this email address is already registered to another My eQuals account but you can merge them. Once you have logged in, the merge request prompt will show. 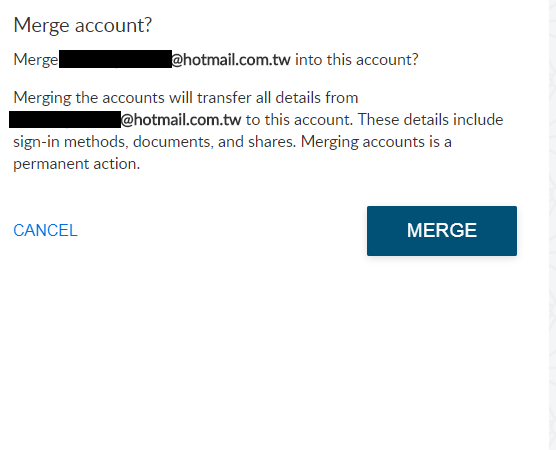 Click the Merge button to merge both accounts. This change is permanent.